Which came first? Chicken or Fish? 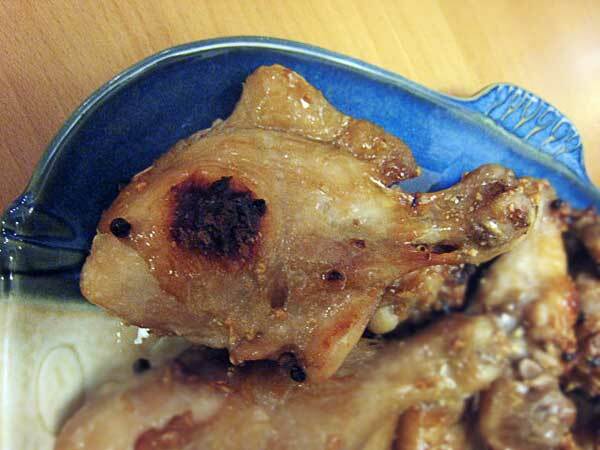 I roasted chicken last night and this piece caught my eye when I set it on my puffer fish shaped plate. I swear the peppercorn was already there and I didn’t place it for the photo. Think I’d get any buyers on Ebay? Amazing! Couldn’t ask for a more perfectly placed peppercorn or that dark spot! Looks like a tropical fishy!!! Is this the Cece Healthy Chicken recipe?